The Level 1 Food Safety course gives learners an understanding of food safety throughout the food handling chain. Food safety is the responsibility of everyone throughout the chain of food handling. This includes storage, preparation, cooking service and the handling of food in general. 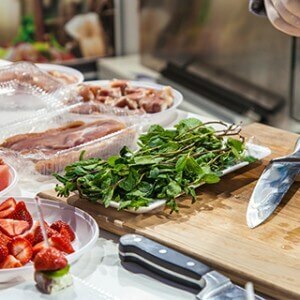 The subjects covered are regarded by the Foods Standards Agency as being important to ensure good practice throughout the production of safe food. The aim of the Level 1 Food Safety course is to increase the knowledge and understanding of food safety within the individual’s workplace role. The Level 1 Food safety course is designed for those who prepare of serve food. Food safety is the responsibility of everyone involved throughout the chain. For the storage, preparation, cooking and handling of food, food safety is needed. This programme is accredited by Highfield Awarding Body for Compliance (HABC). To find out more please visit our accreditations page. There must be a minimum of 10 people for this course to run. Contact us on 01772 433080 or via email at info@centaurtraining.co.uk to book.